Are the animals spayed and neutered? Yes, all animals must be spayed or neutered prior to adoption. 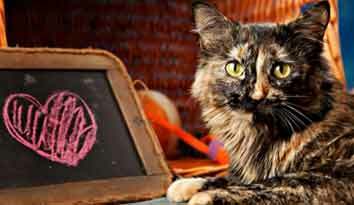 How much do you know about the animal I might want to adopt? If the animal is an owner surrender, we do our best to get as much information as possible about the animal from the owner. If the animal comes in as a stray or from Animal Control, we try to evaluate and watch the animal to gain as much info as possible. We will always disclose everything we know about an animal prior to adopting it out. Please know that animals can be unpredictable though. Sometimes the behaviors they exhibit in the shelter will be different than what you see at home. How do I find out if I am compatible with the animal? 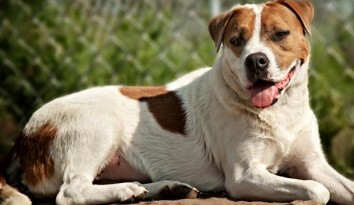 We encourage you to come and visit a pet you might like to adopt multiple times. You can spend one-on-one time with the animal in our introduction room or an outside kennel. If you have other pets at home, you can also bring your pet(s) to see if they will get along with the pet you are thinking of adopting. Once you take an animal home, you have a period of time to decide if the animal will be compatible. If things are not going well, we ask that you contact us right away so we can talk with you about any problems. If you decide you need to return the animal, you can bring it back and will receive a voucher good for another pet at Great River Rescue. Can I adopt more than one animal? You can adopt more than one animal at any time as long as you have the time and/or resources to provide great care and a good home. If you rent, you must have verification from your landlord that your adoption is approved. Is there a charge to adopt an animal? Yes, a cat adoption is $100 including tax. (This includes spaying and/or neutering, basic kennel vaccinations, flea treatment, ear checks and a certificate for a free rabies vaccination from our local Animal Care Clinic). Dog adoptions are $200 including tax. 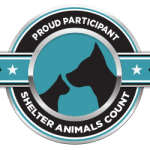 (This includes spaying and/or neutering, basic kennel vaccinations, flea treatment, ear checks and a certificate for a free rabies vaccination from our local Animal Care Clinic). What if things don’t work out? Can I bring the animal back? You are offered an unspecified trial period with your new pet. We ask that you contact us right away if things are not working out. If you decide you need to return the animal, you will be given a voucher for a another pet at Great River Rescue. Are my cash donations tax deductible? Yes, all donations are tax deductible. We are a 501 c3 licensed facility. 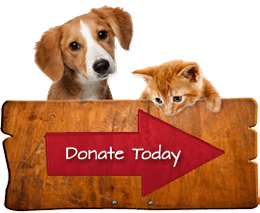 We use all donations to provide needed animal medical or emergency care, cover spay and neuter costs, provide quality care and comforts for each animal during their day to day living, and cover operational costs as we house these animals. You can designate your donation to be applied to the fund of your choice. Can I go get things on your wish list and drop them by the shelter? At any time you desire, you are welcome to purchase any items of your choice to be used for the animals at our facility. We also provide a Shelter Wish List with more frequently used items for your information. Thank you in advance for your help! Do you provide receipts for donated items? All donors giving $250 or more in the course of a year are given a receipt after the conclusion of our fiscal year (Dec. 31). Please request a receipt for any individual receipt if you need it. You can make a donation online by click on the “Donate Today” button in the sidebar to the right. You will be directed to PayPal, a very well known and reputable secure payment processing website. Fill in your credit card information and follow the directions on the screen. We will be notified about your donation and will confirm its receipt. Thank you in advance for your help! How old do I have to be to be a volunteer at the shelter? You must be 16 years old to volunteer at the shelter. If you are between 13 and 15, you must have a parent or an adult with you at all times. Children under 13 are not allowed to work directly with the animals. You must also attend Volunteer Training prior to becoming a volunteer. Do you provide any training for volunteers? What kind of a time commitment is involved? Time commitment is according to your schedule, however, a regular daily or weekly schedule is preferred. To become a Foster Care Provider, you must fill out a Foster Care Application. You can pick one up from our desk personnel. Once approved, you are eligible to become a Foster Care Provider. Do you take animals other than cats and dogs? No, we only take cats and dogs at our facility. We do not accept birds, rabbits, reptiles or other creatures. How many animals can you take care of at a time? We house a maximum of 45 cats and 25 dogs on any given day. We can only take animals as space allows, and we do maintain a waiting list. Animals are taken in by appointment only. The kennel coordinator calls those on the waiting list to set up intake appointments. We do not take in feral, or otherwise aggressive animals as they would be unsafe for staff to handle. What do you mean by “no-kill shelter”? A “No Kill Shelter” means that we do not euthanize an animal just to make space for other animals. We only euthanize if an animal is suffering greatly and is not likely to recover. What happens to the animal when it comes to you? When we receive an animal, it goes through an “in-take process” which includes completion of paperwork, an evaluation, vaccinations and kennel placement. Stray animals are always held for a minimum of 10 days (may include time in the pound) to allow for it to be reclaimed. Surrendered animals may become available for adoption as soon as the next day. All animals are carefully assessed and observed for behavior traits and signs of illness or injury. Do you work with other area agencies? How can I learn more about the work of Great River Rescue? I found a stray or abandoned animal. What should I do? If you find an abandoned or stray animal, you can call our facility first to see if we have enough space to take this animal. Other options are to call your local animal control officer or police department to pick up this animal or report it as being lost, run a free lost or found ad in your local newspaper, make a post on Craig’s List or the Lost and Found Animals page on Facebook, or finally, take care of and find a home for this animal on your own. I can’t take care of my animals anymore. What should I do? If you are unable to take care of your animals any more you can call us to see if we have space (cost is a $50.00 surrender fee per animal), talk to your local Vet regarding options with your animal, or find a new home on your own. It is ILLEGAL to abandon an animal at any time, you will be prosecuted if found guilty of this act. Please note that we maintain a waiting list of people with animals waiting to surrender to our shelter. We will add your information to our list, and call you when we get to your name on our list. We only go back on the list as much as two months. If you are still waiting after two months time, please call us again to make sure you remain on the list. I found an injured animal. What should I do? If you find an injured animal, call your Vet. We do not have an “onsite Vet” or equipment to treat an injured animal.